The Quinism Foundation has called upon a committee of the National Academies of Sciences, Engineering, and Medicine investigating the long-term effects of mefloquine to conduct its own independent review of the medical records of several veterans who have suffered chronic and disabling effects from the drug, noting that these case reports have gone unpublished in the medical and scientific literature. "Over fifteen years ago, the U.S. Department of Defense (DoD) and the Centers for Disease Control and Prevention (CDC) promised that these veterans' cases would be investigated," said Remington Nevin, MD, MPH, DrPH, executive director of The Quinism Foundation. "In 2003, ten years prior to the U.S. FDA's decision to add a 'black box' to the drug's label warning of permanent adverse effects, both DoD and CDC knew that mefloquine was the cause among veterans of chronic disability linked to brainstem dysfunction. In large part due to these organizations' failure to act in a timely manner to properly investigate and publish evidence of these effects, tens of thousands more U.S. veterans were needlessly exposed to mefloquine over the next decade, during which time the U.S. military maintained mefloquine as its drug of choice during large-scale operations." Dr. Nevin noted that several veterans previously diagnosed by the U.S. military with chronic brainstem dysfunction from mefloquine will be travelling from across the country at their own expense to Washington, DC, to attend the second meeting of the committee on Wednesday, March 27, 2019, in the hopes of providing three minutes of testimony regarding their own conditions. "At its second meeting, committee members must make time to hear from Jim Loyd, a U.S. Army Special Forces medic who endured months of crippling nightmares from mefloquine while deployed to Afghanistan in 2002, only to return home with permanent brainstem dysfunction for which he was medically separated from the military," said Dr. Nevin. "Committee members must also make time to hear from Bill Manofsky, a U.S. Navy Commander who received a VA disability rating retroactive to 2003 for a central visual disorder and a central vestibular disorder attributed to mefloquine brainstem neurotoxicity." "There are dozens more veterans with similar documentation of central nervous system dysfunction that has been attributed to mefloquine that the comitteee could chose to hear from," noted Dr. Nevin. "Unfortunately, the VA, in their remit to the committee, did not mandate a review of individual veterans' medical records, and the committee has yet to agree to study these veterans' medical records independently." In addition to expressing its concern that these veterans' cases are being overlooked by the committee, The Quinism Foundation has raised additional concerns with the National Academies over possible conflicts of interest among certain committee members, and has been critical of several of the key speakers whom the committee has invited. Dr. Nevin noted that scheduled testimony from entrenched interests who have long denied the harmful effects of mefloquine among veterans has dominated the public sessions held to-date. "The committee should be hearing from veterans who can share the truth about this drug," said Dr. Nevin. "Instead, at the committee's first meeting, the DoD's representative, Colonel (Dr.) Andrew Wiesen provided the committee with misleading, incomplete, and inaccurate testimony regarding the scope of mefloquine use within the U.S. military. Dr. Wiesen obfuscated the truth by incorrectly stating that mefloquine 'was never the primary agent... for prophylaxis for large-scale operations', and that 'up until Malarone [atovaquone/proguanil] was in use, mefloquine was used as the primary agent', 'primarily for operations in sub-Saharan Africa'." "Dr. Wiesen failed to correctly advise the committee that despite the widespread availability of atovaquone/proguanil since the start of the wars in Afghanistan and Iraq, mefloquine in fact remained a drug of choice for large-scale operations until 2013, and was widely used in both Afghanistan and Iraq, by at least tens of thousands of personnel," said Dr. Nevin . "However, neither Dr. Wiesen, nor anyone in DoD, has any idea precisely how many tens of thousands, or even hundreds of thousands, of U.S. personnel were exposed to mefloquine during large-scale operations in Afghanistan and Iraq, because DoD acknowledges that documentation of mefloquine prescribing has been incomplete." The Quinism Foundation also reiterated its call that the VA not further delay long-overdue action on mefloquine pending the completion of the committee's 18-month study. 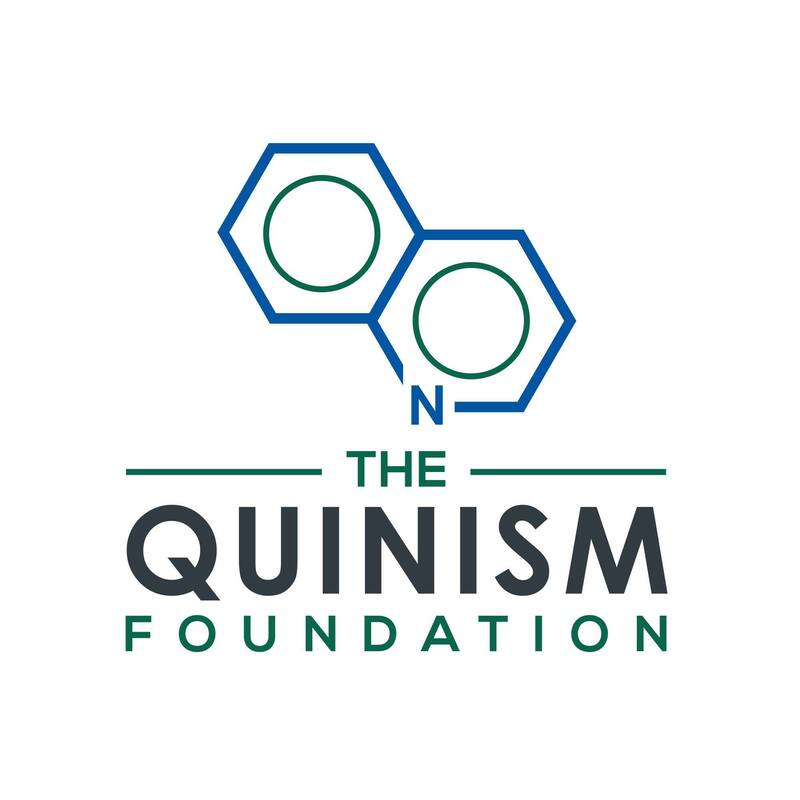 The Quinism Foundation has previously called upon the VA to publicly provide accurate information to veterans on the acknowledged adverse health effects of mefloquine ; to begin screening veterans for a history of symptomatic mefloquine exposure ; and to ensure VA disability examiners are considering the acknowledged long-term adverse effects of mefloquine when conducting disability evaluations for PTSD and related conditions . by Mefloquine and Related Quinoline Drugs,” to be published in the upcoming Springer Nature book, “Veteran Psychiatry in the US," (https://www.springer.com/us/book/9783030053833). 1. Nevin RL. Mefloquine and Posttraumatic Stress Disorder. In: Ritchie EC, ed. Textbook of Military Medicine. Forensic and Ethical Issues in Military Behavioral Health. Washington, DC: Borden Institute; 2015:277-296. 2 The Quinism Foundation. The Quinism Foundation Calls on the Department of Veterans Affairs to Update its Mefloquine Website. June 26, 2018. 3. The Quinism Foundation. The Quinism Foundation Calls on the Department of Veterans Affairs to Screen Recent Veterans for Symptomatic Mefloquine Exposure. May 29, 2018. Available at: https://quinism.org/press-releases/the-quinism-foundation-calls-on-the-department-of-veterans-affairs-to-screen-recent-veterans-for-symptomatic-mefloquine-exposure. 4. The Quinism Foundation. The Quinism Foundation Expresses Concern That Department of Veterans Affairs (VA) Disability Examiners Are Misattributing Chronic Adverse Effects of Mefloquine to PTSD. November 29, 2018. Available at: https://quinism.org/press-releases/the-quinism-foundation-expresses-concern-that-department-of-veterans-affairs-va-disability-examiners-are-misattributing-chronic-adverse-effects-of-mefloquine-to-ptsd.